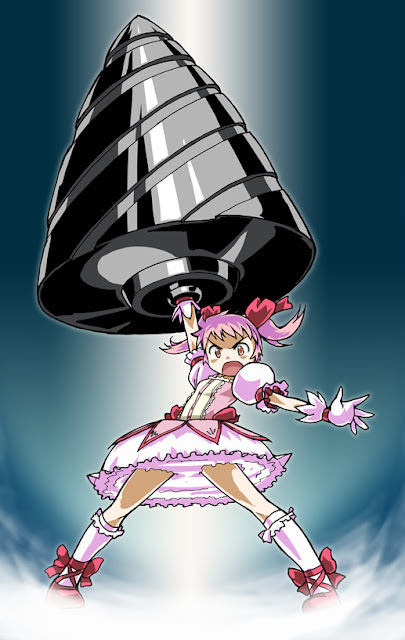 #MoeMonday post is back ^^ and with a hilarious crossover fan pic of Madoka doing the Giga Drill attack from Gurren Lagann. "Project Fumi" game and story finally has an official name. Row, Row Fight the Power!